Made with real fruits and wholesome ingredients, the Chocolate Fudge SiS Mini Go Bar offers a nutritious, carbohydrate-rich snack that's easy to digest. 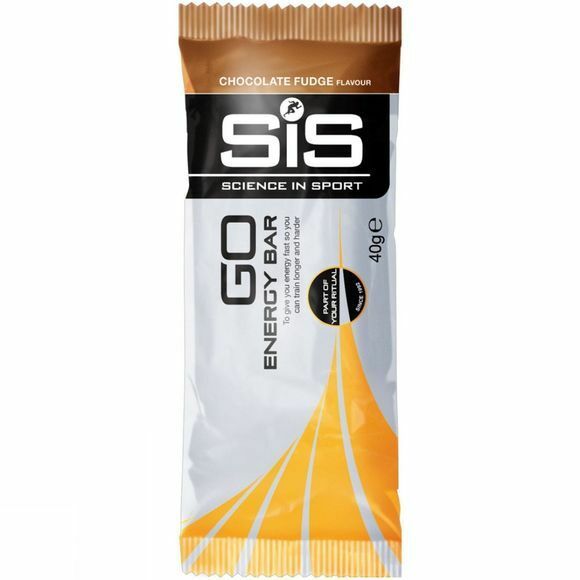 This mini version of the larger Go Bars is a highly practical option for mid-workout refuelling and can easily fit into your pocket or race belt. Grape juice, pineapple juice, maltodextrin (from maize), dates, raisins, rice soya crisp (rice flour, soya protein isolate, oat flour, salt, vegetable oil, lecithin), oats, soya protein isolate, natural flavouring, emulsifier (soya lecithin), humectant (calcium lactate), green tea extract, reduced fat cocoa powder.